I was very surprised when Bill Griffin, editor of the Cleaning Business Magazine, told me that Europe is 5 years ahead of the USA when it comes to cleaning technology. He visited the ISSA/Interclean exhibition together with 30.000 other people and 800 suppliers to see the future of cleaning in the USA. My presentation about the top 10 innovations at ISSA/Interclean was recorded. You can watch the full presentation below and view my slides at slideshare. A selection of innovations I saw at the exhibition including a lot of robots but also augmented reality, tracking software, apps, sensors and products we all know like new toilets and faucets. 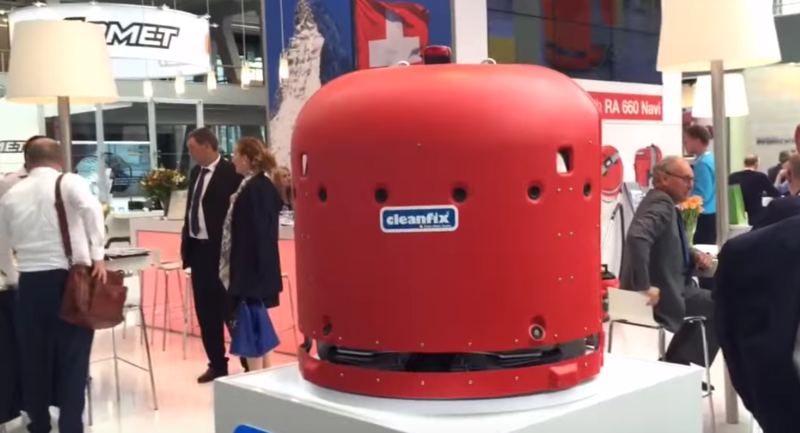 The Cleanfix Navi 660 cleans 4000m2 on a 4 hour battery. The Cleanfix team won the ISSA/Interclean innovation award. 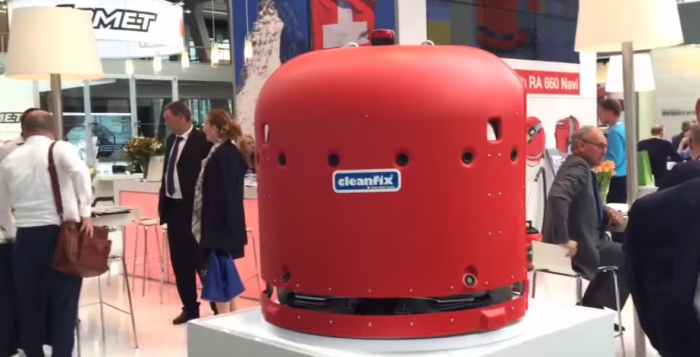 Roland de Korte is the MD of Cleanfix, he tells me more about their invention and explains the businesscase.